Intelligent UAVs choose their victims themselves as the race for more focused military influence leads to the proliferation of assassination tools. Over the past couple of years, Afghanistan and Pakistan have seen a significant increase in the use of drone aircraft by the US military and other security services. They have become the proving ground for a fundamental shift in how military power is exercised, how information is collated and used and, ultimately, how wars will be fought. With a military budget that accounts for nearly half of the world’s military spend, the US has become increasingly attracted to drones which cost a fraction of the price of a fighter but have the potential to provide equal if not greater presence. With over 7,000 unmanned aircraft already being used by the US military alone and as other countries scale up their arsenal, by 2020 the majority of both surveillance and conflict will be undertaken by increasingly sophisticated and intelligent unmanned aerial vehicles or UAVs. Initially used for surveillance in Kosovo in the late 1990s and then armed from 2001, the Predator undertook one of its first CIA-controlled assassination assignments in Yemen in 2002. Since then the Chinese, Russians, Israelis, French and Pakistanis have all been using UAVs. In 2006, Hezbollah flew drones over Israel during the Lebanon War. By 2010, the US Air Force was flying at least twenty Predator drones each day in Afghanistan. Much of their use has been for surveillance, with each drone providing up to ten video streams of footage back to their ‘pilots’ sitting either in Kandahar Airbase or, more likely, 7,000 miles away in secure facilities in Arizona or Utah. By 2011, an upgraded version of the more powerful Reaper drones will be carrying up to thirty cameras each. Alongside surveillance activities, drones also carried out over 200 missile and bomb attacks in the year – striking Taliban leaders and bomb-making factories. By comparison, at the peak of activity in Iraq, in 2008, seventy-seven missile strikes were launched. In Pakistan, where drones are run by the CIA but launched from Pakistani airfields, there has been increasing coverage of their controversial use for the surveillance and assassination of both Taliban and Al Qaeda personnel. In 2009, there were sixty-nine recorded drone attacks in Pakistan. In the ‘Af-Pak’ region, where military ground action is complex, where exerting military power in no-go areas has become common place and where reports of US casualties have been an increasingly unwelcome item on CNN, the use of unmanned drones each equipped with four Hellfire missiles has been an attractive option and ‘the weapon of choice’. Even though many see that these assassination machines are visibly provoking increasing anger in moderate society, their use is widely accepted and even promoted in the media. It is not just the big Predator and Reaper UAVs that are being used. Thousands of hand-launched drones are used by soldiers to see what lies over hills and these are getting so easy to use that there are now even iPhone apps for controlling them. MIT’s Human and Automation Lab has led the development of apps that use the iPhone’s touch screen, tilting sensors and 3G data transfer to navigate drones and simultaneously view corresponding video feeds. 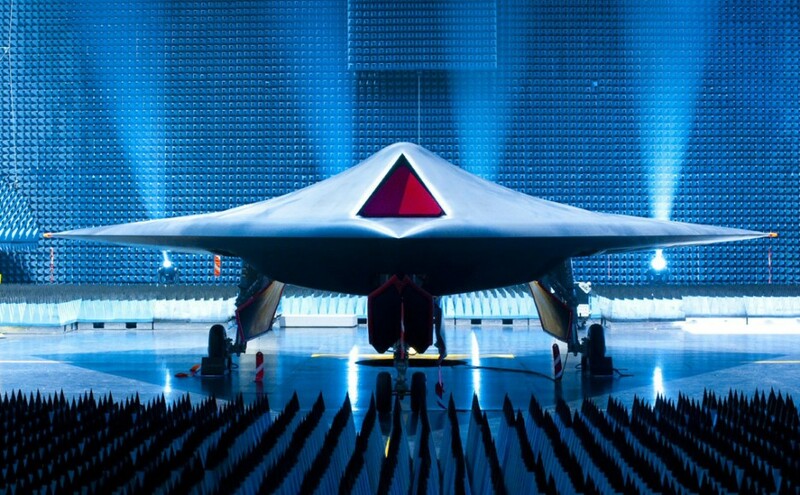 Elsewhere, already in the final stages of development, are control systems that allow a single ‘pilot’ to control as many as three UAVs simultaneously while BAE Systems’ Taranis drone is intended to be completely autonomous, and so does not need human piloting. Scheduled for trails flights in 2011, the Taranis prototype shows the direction we are heading – a pilotless plane that can make its own decisions and even undertake air-to-air combat. As the world of gaming is integrated within military systems, the means of ‘covert and overt engagement’, as the military terms it, are changing rapidly. What is more, the further disconnection of the ‘pilot’ from the ‘action’ is already making the emotional relationship of war weaker for some. Today’s drone pilots in the US often live a ‘normal life’ where taking the kids to school is part of their daily routine: a shift flying drones over Afghanistan is just another high tech office job. Building on the increased automation of ordinance delivery that has gone before, the psychological implications of such decreasing contact between the source and recipient of action are raising some major questions in the military and beyond.